today Aleema finished coding the latest camp talk scene, with Shiler. 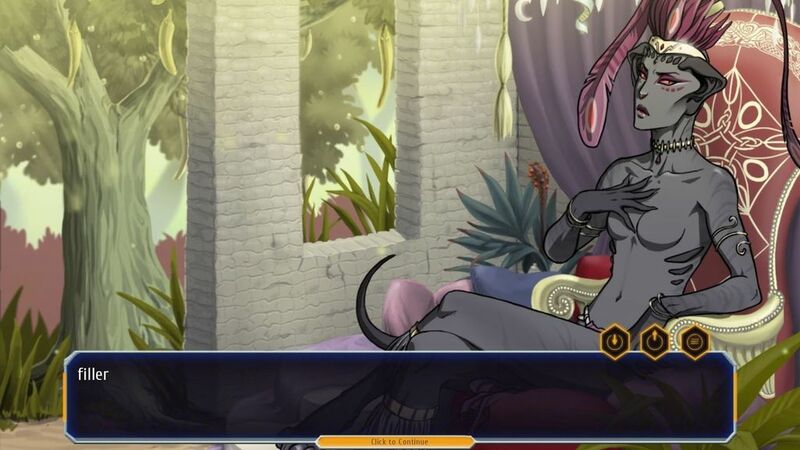 I had to ask the "backup artist" to fix this one, since unfortunately many images for this game were done at 4:3 (including all the romance scenes... but for those I'll just use some panning effect, fixing them all would be nuts). ROFL fun bug of the day! 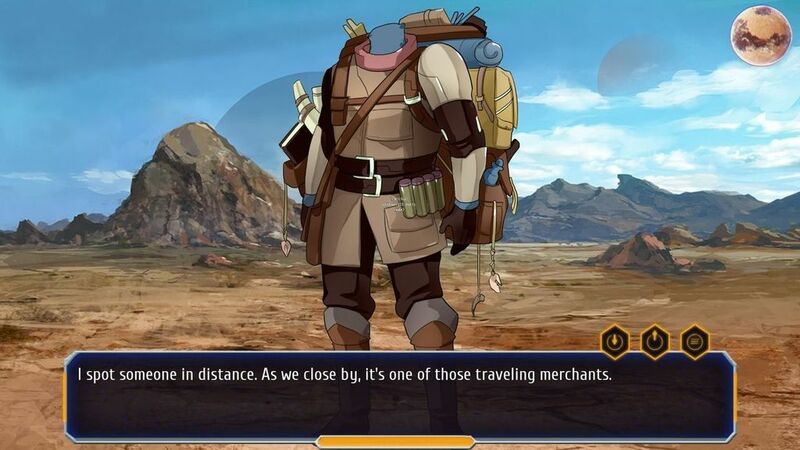 Headless traveling merchants! Only in Planet Stronghold 2! the third option won't appear in the game, was just a joke. Sadly! 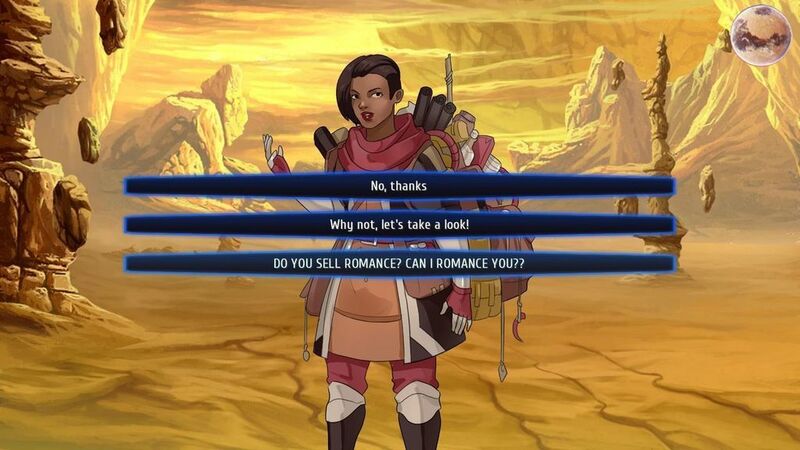 One of these games you should leave that option in, but it turns out to be a scam. Lol that could be fun! - you hear a Celso laughing somewhere in the distance. - What is a Celso? - No matter, you return to your mission.